Hahaha! Yeah i might think about it. I thought it's just easy to make them and everyone knows ho to do it, but if you request then I will when I'll find a time and buy more chocolate clay! Wow thank you! I like blue, it's my favourite color! Those are so amazing, Mini Mo. 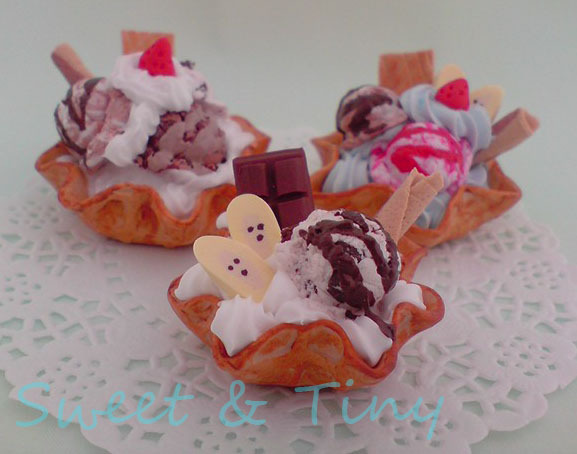 You are so talented and creative, when it comes to miniture sweets and things. You should totally do a tutorial when you find the time!! Those are really good. 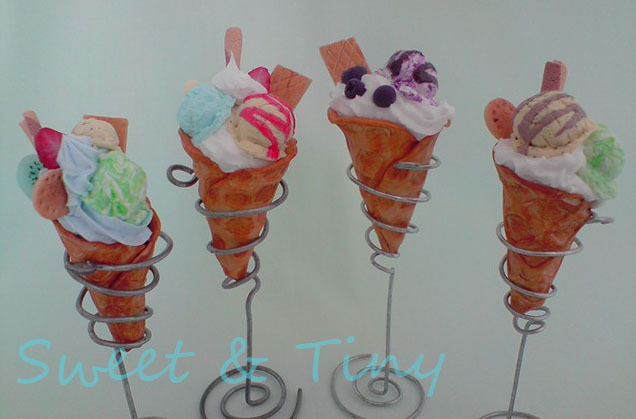 I love the ice cream cones. 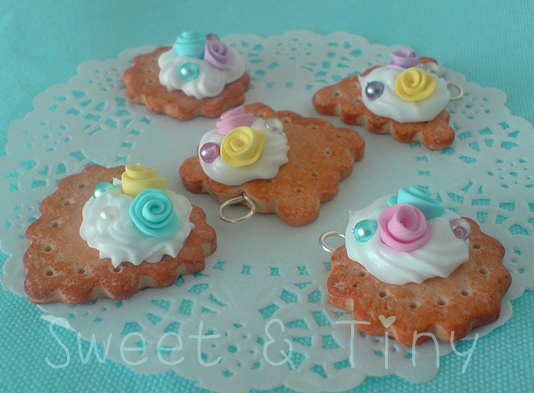 The cookies remind me of Easter because of the colors. Thank you Kerous! yeah they kind of look like easter colours. I'm selling them on Etsy now as proper phone charms. MMMMMMMMM.......... I wan´t too eat them! GREAT JOB!